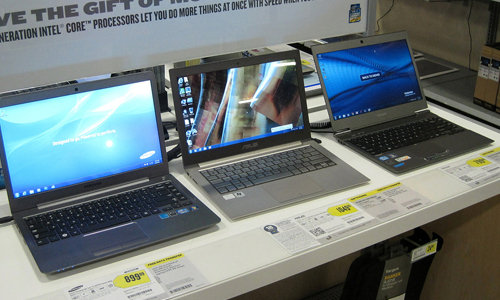 Pros and Cons: Should You Upgrade Your Office to Windows 8? In less than two weeks, Microsoft will let Windows 8 into the wild and allow PC users to upgrade to its newest operating system. Over two years in the making, Windows 8 is a significant departure from the other versions of the Windows operating system that we have seen for many years. While the jump to Windows 8 might not be a huge deal for the average consumer, the change is a big decision for businesses — both small and large. From IT departments managing hundreds, or even thousands of computers, to employees in sales or marketing that rely on their computers to get their jobs done, there’s a lot to think about before upgrading. Here are some of the pros and cons of the new OS to help you decide whether your business should upgrade to Windows 8. Say goodbye to the Start menu! Windows 8 sports a radical new look and feel that was once called “Metro” (and people are bound to keep calling that even though Microsoft retired the name). First seen on the Windows Phone and the Xbox 360, the new user experience is a colorful and boxy design that uses tiles to provide you with relevant information at a glance. These tiles update in real-time to show you upcoming calendar events, incoming tweets, and even the weather report. When you switch over to a tablet or mobile device, you’ll be presented with the same tiles, allowing you to swipe between screens and apps with ease. An added benefit of the new user interface is much better support for multiple monitors. Robust settings will allow you to customize things like the display of each individual monitor, its desktop backgrounds, and multi-monitor slide shows. And some studies have shown that some types of employees perform better with multiple monitors if you’re willing to make the investment. Being able to take your information with you wherever you go and having an at-a-glance view of key applications will be invaluable for businesses that need to consume data quickly. While Metro provides a new aesthetic in the form of a welcome new design refresh to Windows, there’s an even bigger bonus here. The new design eliminates clutter and ties different aspects of the operating system together in ways that we have not really seen before with Windows. There is now built-in compatibility across a wide range of devices beyond just your typical desktop computer or workstation. The Windows 8 experience can be expanded to tablets and smartphones; powerful sync tools lets you take your apps, preferences and more with you wherever you go. 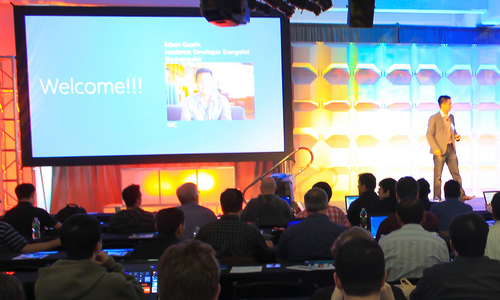 Windows 8 also offers single sign-on to all your devices — a big plus for business users who are always traveling. Windows 8 was designed from the ground up to provide a snappier operating system that takes advantage of the latest advancements in hardware and processing tools. When Microsoft released the Consumer Preview version of the OS a few months ago, many were surprised just how fast Microsoft had made Windows 8. Shaving seconds off most tasks, computers running Windows 8 will be able to start faster, load programs quicker and manage tasks more efficiently with an overhauled Task Manager. 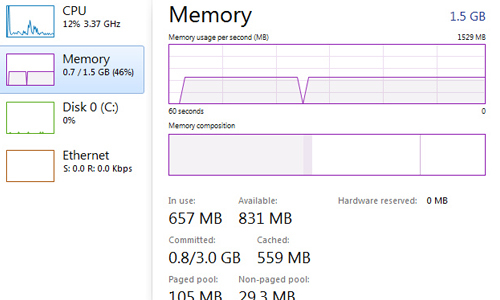 Along with better performance, Windows 8 comes with more responsible energy usage as well. Early reports indicate that you may be able to squeeze a little more time out of your laptop battery thanks to improvements made at the system level to Windows 8. 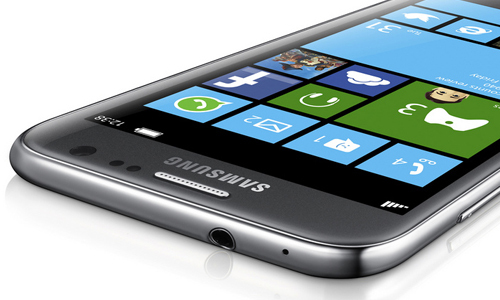 When idle, the OS will drop down into a very low power usage state to save energy and conserve battery life. 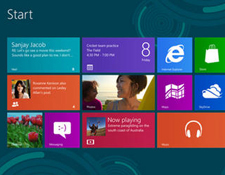 From an IT perspective, the changes made to Windows 8 could end up costing businesses a lot of money. To take advantage of many of the new features offered, new hardware will need to be purchased to support the higher graphics demand and touch-sensitive aspects of the OS. To complicate this a little further, Windows 8 makes the process of connecting to Active Directory a little more difficult from AMD chip based devices. Depending on the type of hardware your business is running, choosing to upgrade to Windows 8 might mean purchasing an entirely new suite of hardware to support it. In the business world, Windows has been the norm for many years. While the operating system has seen a host of updates, the way people use it hasn’t really changed that much. If you’re operating a business and thinking of taking the jump to Windows 8, expect a bit of a learning curve for your staff. Windows 8 does away with the traditional task bar and features a completely new ribbon-based interface for first-party applications. Those using recent versions of Office, or using a tablet running Windows 8 might feel right at home. However, a majority of people will need some form of training to get up to speed on the many changes and enhancements being offered. The last major consideration to take into account is the relative recency of the Windows 7 operating system. Some companies’ IT departments are still trying to work out the kinks of the migration to Windows 7. Enterprise businesses may have a hard time justifying yet another upgrade that will take computers offline. There are also training requirements and costs to consider. If your company has just settled in to Windows 7, it seems almost silly to start the process all over again. As an added complication, Microsoft doesn’t expect to release any service packs to Windows 8 until some time in 2013. If you take the plunge and update, you might find yourself scrambling to downgrade or stuck with issues for an indeterminate amount of time. 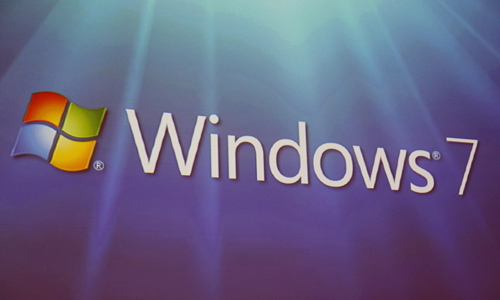 Is the upgrade to Windows 8 worth it for your business? The new release, available for download on October 26th, will offer some exciting features and improvements that just about any company or employee could benefit from. On the flip side, the decision to upgrade involves a lot of potential gotchas that might outweigh some of the benefits. 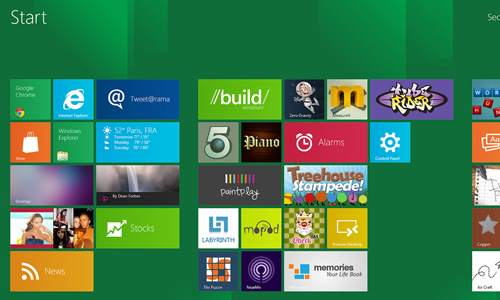 What feature of Windows 8 are you most excited about for your business? Will you be making the upgrade? Let us know in the comments! John Burke: John is a technology and social media enthusiast (as well as a self-proclaimed Apple fanboy). Before joining the Sprout team, he wrote for TUAW, DownloadSquad and AppStorm. John has been working in social media strategy for a number of years and manages accounts for higher education, organizations and non-profits. A graduate of Syracuse University, John currently lives in New York City where he is pursuing a career in aviation. You can follow him on Twitter.